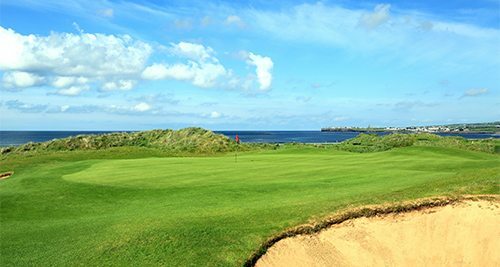 Will you need a caddy? Lahinch Golf Club, which is located in Co. Clare on the West Coast of Ireland is a hotspot for visiting golfers. 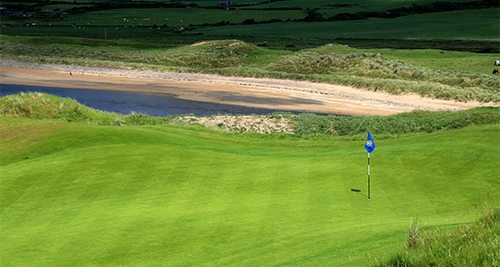 Over the years this picturesque course has welcomed tour professionals such as Luke Donald, Davis Love and Jim Furyk. 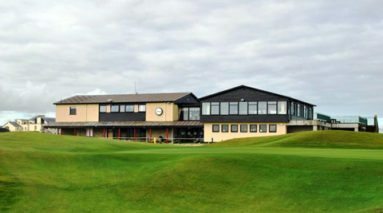 Phil Mickelson also happens to be an Honorary lifetime member. 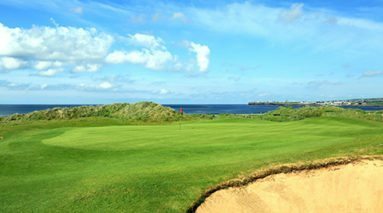 The Old Course is home to the South of Ireland Amateur Championship which attracts the best up and coming golfers Ireland has to offer. 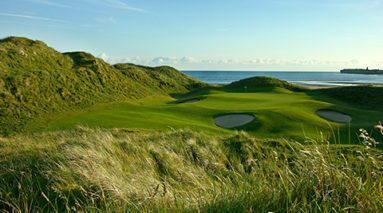 Winners of note would have to be Darren Clarke who won in 1990, Paul McGinley in ’91 and Graeme McDowell winning in 2000. 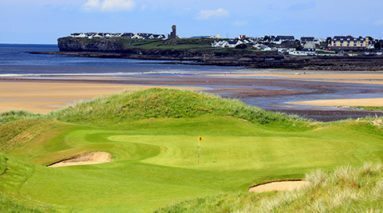 Padraig Harrington has finished runner-up on two occasions also. 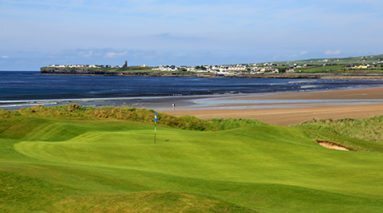 Ranked no.5 on the “Top 100 golf courses in Ireland” list (Golf Digest), the old course offers up a unique challenge with towering sand dunes that call for frequent blind shots and the unpredictable Atlantic breeze, which keeps even the most experienced of golfers on their toes. 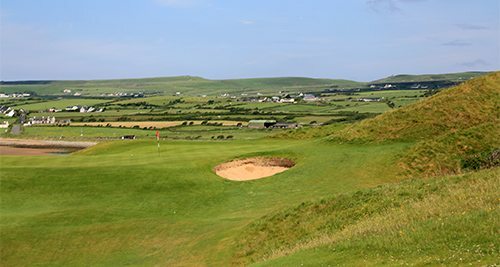 This course will really challenge your game as the terrain, weather and bunkers can force some shots you may not have thought possible. 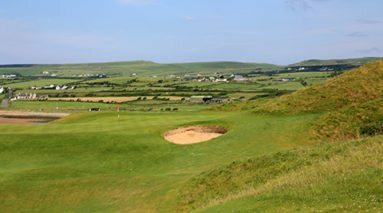 Holes of note on this course would have to be the blind 4th and 5th, known as the Klondyke and Dell holes. 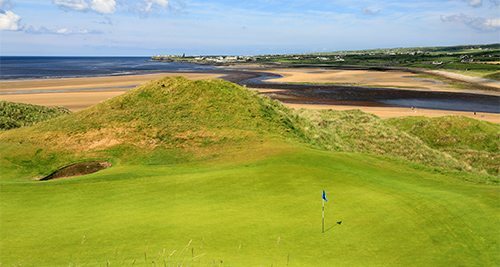 The par 3, 5th hole (Dell) features a green tucked behind a large dune making it out of sight from the tee. 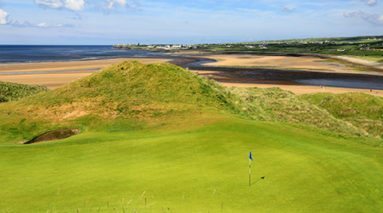 The same type of dune can be encountered on the 4th hole (Klondyke) for your second shot. 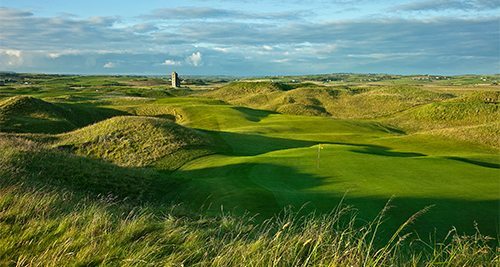 The Old Course at Lahinch will not fail to impress and is an absolute must for any visiting golfer. The Castle Course is a slightly less formidable challenge than the Old Course, though equally as interesting a prospect. The Clubhouse has been recently renovated with brand new locker rooms and pro shop facilities available. 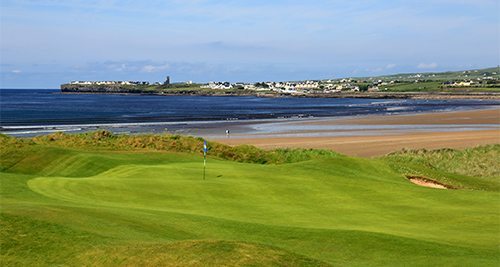 The Pro Shop is fully stocked with all of the essentials for your round, along with a fine selection of Lahinch branded clothing and equipment. 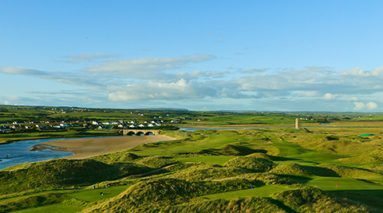 There is a fantastic restaurant upstairs which provides stunning views of the course. 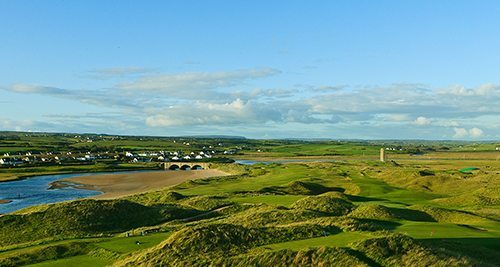 In July 2019, Lahinch will host the Dubai Duty Free Irish Open which is sure to showcase this magnificent course to an audience the world over. 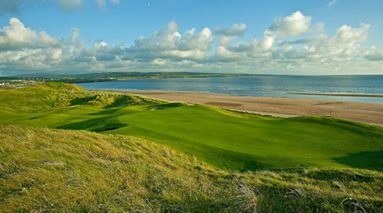 There is some excellent accommodation options in Lahinch and all within walking distance of the town centre. 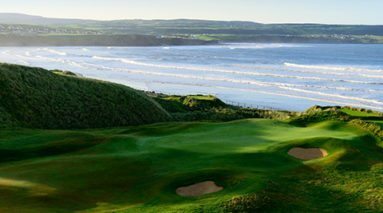 Some of the best options in the location would be the 4* Vaughan Lodge, the 4* Lahinch Golf and Leisure Hotel and the Lehinch Lodge Guest House. 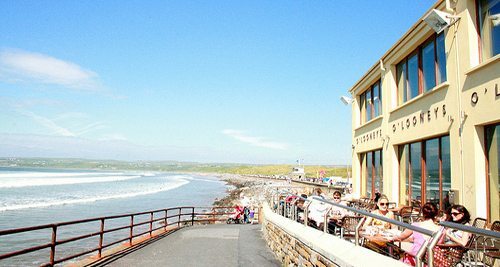 Lahinch is a very popular location for our clients, with all of its excellent bars and restaurants located on one street. 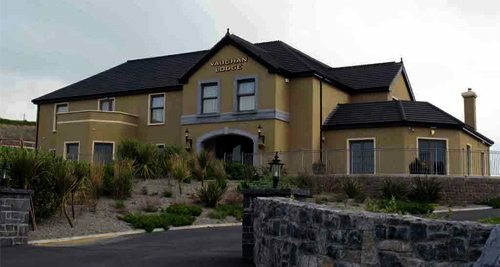 Top choices for a bite would be VL Restaurant, at Vaughan Lodge, Kettlers and the Corner Stone with Flanagan’s, O’Looney’s and Cooley’s close by for an after dinner pint. 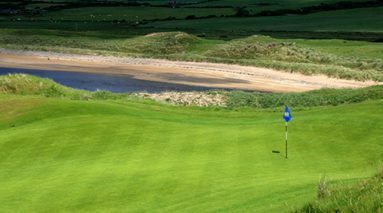 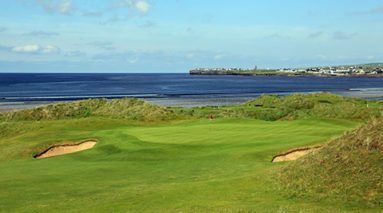 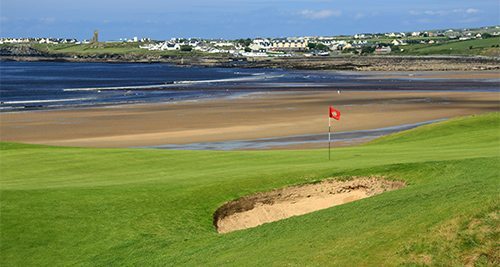 For those looking for activities and sightseeing trips to fit around their golfing schedule, Lahinch is the perfect base of operations for exploring a range of different options. For those interested in continuing their adventures in the great outdoors, Lahinch is home to some of the best surfing schools in the region and is one of the most popular surfing locations in Ireland. 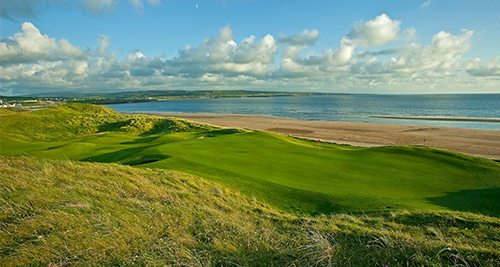 Lahinch is also a focal point for some of the most outstanding natural attractions in Clare. 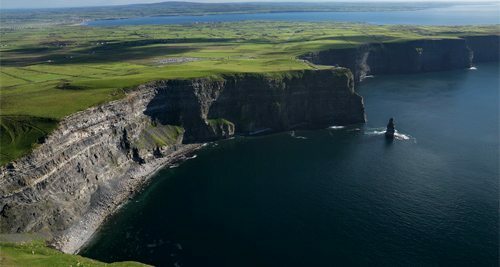 Indeed, the famous Cliffs of Moher are a short drive from the town and offers breathtaking views of the wild Atlantic Ocean. 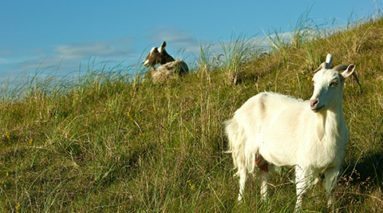 The Burren, too, is easily accessible by car. Here you can explore Ireland’s unique karst landscape in all its bio-diverse glory. 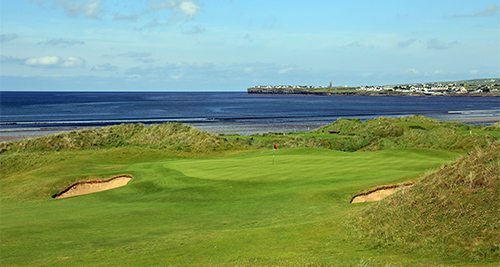 Should you be looking to island hop, tours of the Aran Islands can be taken from nearby Doolin – an area of stark beauty. 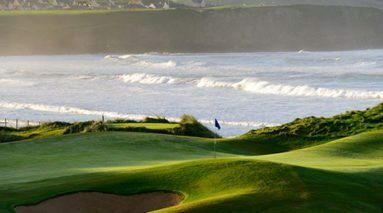 Lahinch offers tourists the opportunity to delve into the west coast’s rich cultural heritage. 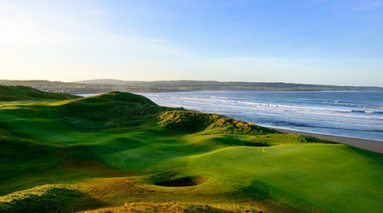 The Irish traditional music scene is thriving in the town, and paying a trip to one of the local pubs will allow you to immerse yourself fully in the best of the West Coast’s cultural offerings. 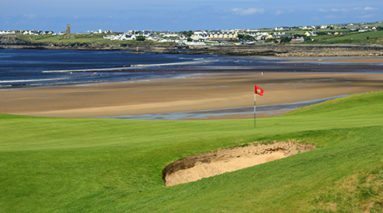 Lahinch is a small seaside resort, but one with a deep history. 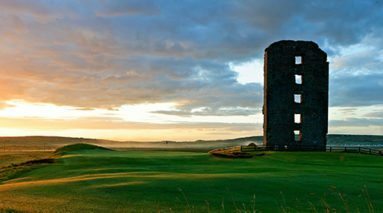 The area has been inhabited since ancient times, and local earth forts stand testament to this, the most impressive of which is situated to the north of the village and believed to have been created by the Vikings. 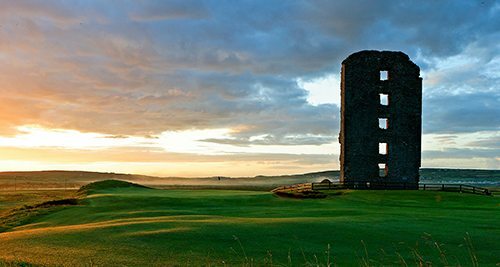 The local Liscannor Castle and Dough Castle lie nearby too, relics of the Middle Ages. 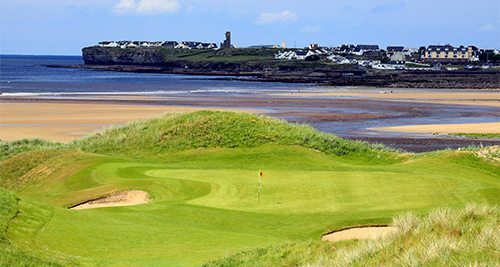 Today, Dough Castle can be found on the grounds of Lahinch Golf Club itself.